Jason Harris, MD, of Bluegrass Surgical Group, is a self-proclaimed “lover of all things techy,” and by staying at the cutting edge of laparoscopic and gastrointestinal surgery, he is bringing a revolutionary advancement in GERD treatment to the Bluegrass. While advancements in robotic surgery and single incision surgery intrigue him, Harris’ biggest interest currently is the laparoscopically implanted LINX® Reflux Management System. 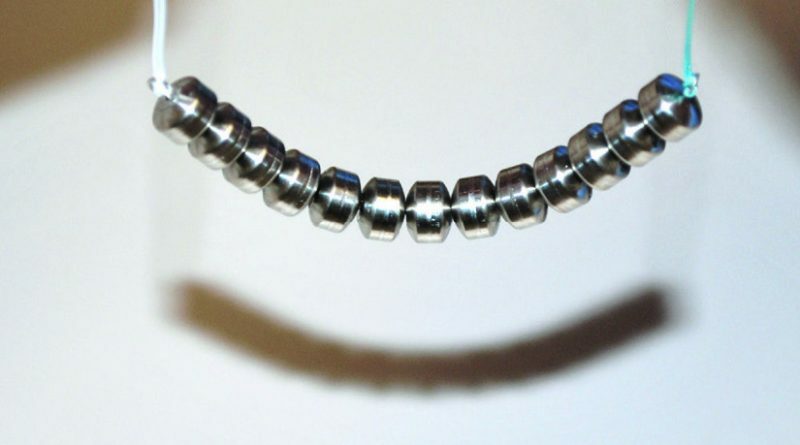 LINX uses a band of rare earth magnets around the base of the esophagus to restore the body’s natural barrier to reflux, and it stands to bring much needed long-term relief to reflux sufferers for whom conventional medications have not helped. Harris explains, “Traditional non-surgical GERD treatments fail to provide many patients with relief. Twenty to 30 percent of patients on proton pump inhibitors (PPI) report an inadequate symptom response despite twice a day therapy.” In addition to poor symptom response, many patients may also have anxiety over PPI use due to cost or concerns over side effects or cost of long term medication use. Conversely, concern over the irreversibility and side effects of surgical therapy may dissuade patients from pursuing a laparoscopic Nissen fundoplication (traditional GERD surgery). The LINX device was created in response to this “therapy gap,” providing patients with a suitable alternative to both the long term use of PPIs and conventional surgery for GERD. Intrigued by the technological advances in the field, 10 years ago he attended a fellowship on minimally invasive surgery at the University of Chicago. There he met program director Santiago Horgan, who, as Harris says, was “doing some very cutting edge things with respect to minimally invasive and robotic surgery.” Horgan was also a leader in development of surgical remedies for GERD and part of the FDA trial to bring lap band surgery to the US. Following the fellowship, the two surgeons would stay in touch as their careers evolved. A few years ago, Horgan invited Harris to San Diego to train him on the LINX implantation procedure, and Harris took to the procedure quickly. His decision to bring the service to Lexington was an easy one, as he immediately recognized its potential. FDA indication for LINX is for patients with intractable reflux who, despite medication, continue to exhibit symptoms. The procedure is also considered for GERD sufferers who have prohibitive medication side effects or simply are uncomfortable with long term medications. LINX is currently not recommended for patients who have had previous surgery in the area, large hiatal hernias, have BMI above 35, or experience esophageal dysmotility. Harris estimates 50 to 60 percent of his anti-reflux patients would be considered candidates, and the first Lexington patient set is planned to receive the implant in the later part of April.